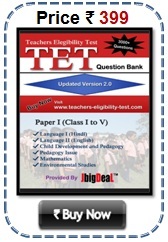 Karnataka TET Result 2019 Paper I, Paper II Karnataka Teachers Eligibility Test (KAR TET) Results 2019 Karnataka Teachers Eligibility Test (KAR TET) Exam 2019 Conducted By Karnataka Education Department, This Year More than 5 lac candidates has applied for Karnataka TET Exam 2019 Karnataka Teachers Eligibility Test (KAR TET) Exam 2019 has two parts, Paper I and Paper II, very soon Karnataka TET (KAR TET) Exam Result 2019 will be announced. Those candidates have applied for KAR TET Paper I Exam, if they pass Karnataka TET Exam this year, so he/she is eligible for Class I to V (Lower Primary) Teacher Post in Karnataka State. 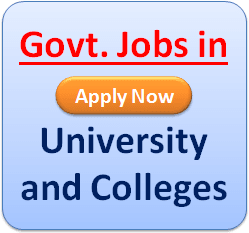 And Other who have applied for KAR TET Paper II Exam, You clear Karnataka TET Exam 2019 this year, so you will be eligible for Class VI to VIII (Upper Primary) Teacher Post in all district in Karnataka State. QUALIFYING MARKS AND AWARD OF KARTET CERTIFICATE The candidates appearing in KARTET will be issued Marks Statement. The Candidates securing 60% and above marks will be issued. (a) The candidates belonging to SC / ST / C-I, differently abled persons should secure a minimum of 55% will be eligible etc., in accordance with their extent reservation policy. (b) Qualifying the KARTET would not confer a right on any person for recruitment / employment as it is only one of the eligibility criteria for appointment. The KARTET shall apply to schools of the Karnataka Government. Schools owned and managed by the State Government / local bodies and aided schools shall consider the TET conducted by the State Government. The Validity Period of KARTET qualifying certificate for appointment will be seven years from the date of declaration of its result for all categories. There is no restriction on the number of attempts a person can take for acquiring a KARTET Certificate. A person who has qualified KARTET may also appear again for improving his / her score. 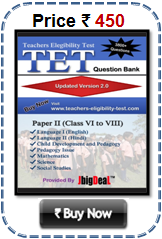 KAR TET Result 2019 will declare very soon, candidates can view Karnataka Teachers Eligibility Test (KAR TET) Exam Result 2019 Online here… Those candidates who are declared qualified KAR TET Result 2019 shall be awarded a Certificate by the Karnataka Teachers Eligibility Test Board. Separate Certificate shall be awarded to such candidate who appear and qualify for more than one level Karnataka TET (KAR TET) Exam Result 2019. However, the statement of marks of all the candidates appearing in “KAR TET” shall be made available on the website of the Board.